Growing up at the base of Mt Buller in the Victorian town of Mansfield, Alex "Chumpy" Pullin traded his skis for a snowboard as an eight-year-old and has never looked back, becoming a two-time World Snowboard Cross Champion, two-time Overall Crystal Globe winner, dual Olympian and gold medallist at seven World Cups. Chumpy made his World Cup debut in the Japanese resort of Furano in February 2007. Twelve months later he established himself as one of the most promising athletes winning his first World Cup medal in Gujo-Gifu, Korea. Making his Olympic debut at the 2010 Vancouver Olympic Winter Games, Chumpy placed 17th and less than a month later won his first World Cup in Valmelenco, Italy and silver a week later in La Molina, Spain. The medals kept coming in late 2010, firmly ranking Pullin as a top competitor. In January 2011 he won his first World Championship and the highly coveted Overall Crystal Globe. He was also Ski & Snowboard Australia’s joint 2011 ‘Athlete of the Year’ (with Nate Johnstone and Holly Crawford). In 2012/2013 Alex “Chumpy” Pullin created history, becoming the first Australian winter sports athlete to defend a World Championship title. Chumpy also won his second World Cup overall title after claiming four World Cup medals, which included two victories. 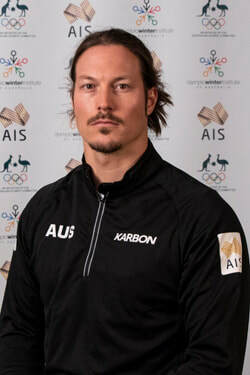 In 2013 Pullin was awarded Athlete of the Year by Ski & Snowboard Australia. The head-to-head nature of Snowboard Cross racing delivers exciting and sometimes disappointing results for those at the top of their sport. At the 2014 Olympic Winter Games in Sochi, Russia, Chumpy exited the competition in the second round of finals and finished in 13th. Bouncing back, Pullin had another dominating and successful 2014-2015 season finishing second on the World Cup standings with two podium results in Veysonnaz and La Molina. In 2015-2016, the highlight for Chumpy was winning gold at the final World Cup of the season in Baqueira Beret, Spain, joining teammate Belle Brockhoff who won the women's event – marking the first time Australia has won gold in ladies and men at a major competition. Opening his 2016/17 international campaign in December 2016, Chumpy took bronze in Montafon, Austria and went on to win the Feldberg World Cup in Germany, bronze in the 2017 Sierra Nevada World Championships and finished off with another bronze in Veysonnaz, Switzerland - Australia’s 40th winter medal in the season across all the snow sports. The 2017/18 campaign started in the best possible way for Pullin, with a double gold at the season's opening World Cups in Argentina in September. One more podium outcome was also achieved in Cervinia, Italy, before Christmas. Pullin made his third Olympic appearance at the 2018 PyeongChang Games, finishing in 6th place. The dual World Champion breezed through to the big final, after winning his semi-final ahead of eventual silver medallist Jarryd Hughes. A crash in the final meant Pullin finished in sixth place -- his best Olympic result to date. The nickname ‘Chumpy’ comes from his childhood.